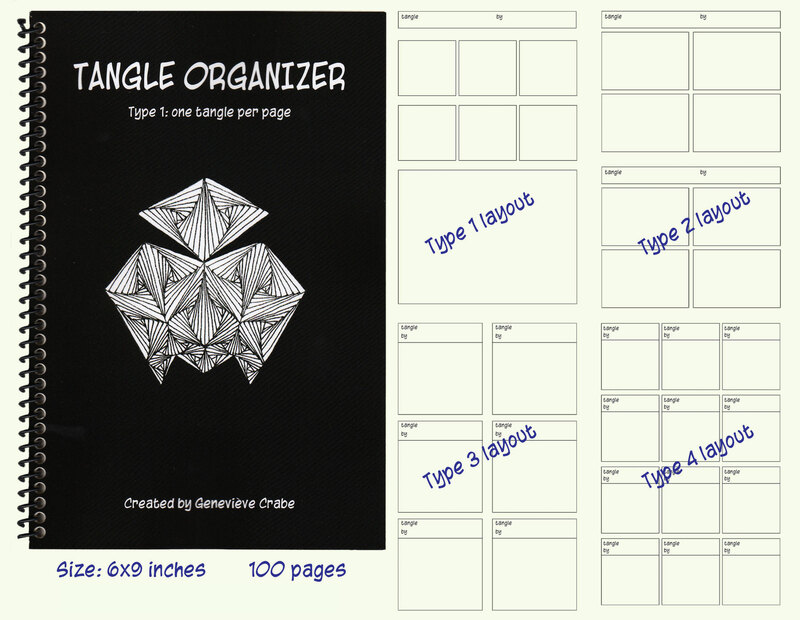 Since I learned the Zentangle® drawing process, I have searched for the best way to organize all the tangles (patterns) that I have collected, which now number over 2,000. These books are the result. There are five types of Tangle Organizers, and you can choose your favourite according to your needs. 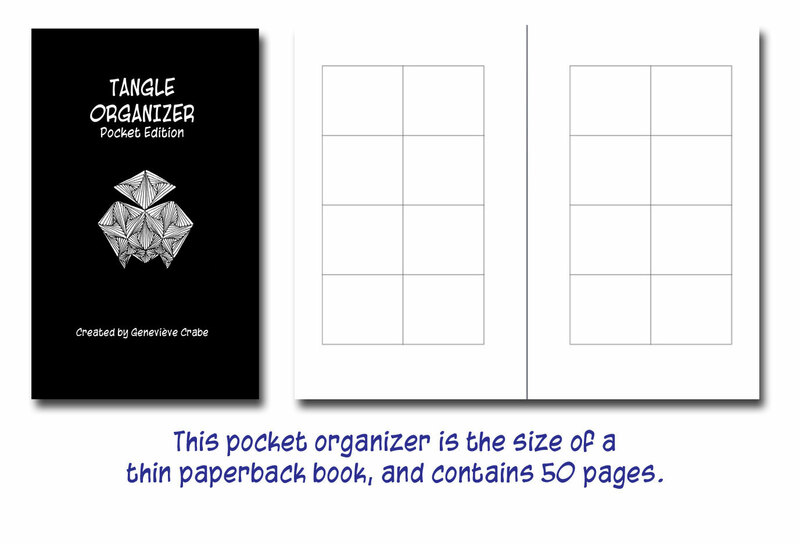 Pocket organizer: This book is 4.25 x 6.87 inches. It has 50 pages, with 8 squares per page for tangles, and is perfect bound. Types 1-4: Each book is 6×9 inches in size, and spiral bound. Type 1 has one tangle per page, with room for steps and examples. Type 2 has two tangles per page, with room for steps. Type 3 has six tangles per page. Type 4 has twelve tangles per page. You can see the layouts in the image below. NOTE: BULK PURCHASING IS AVAILABLE. PLEASE EMAIL ME AT gcrabe@mac.com FOR DETAILS.